Aquarius Railroad Technologies exhibited at Rail Live 2014 in June. What a fantastic show! With the best in the industry coming together for two days, this ‘live’ exhibition meant there was a lot to see and experience. This article in The Rail Engineer rounds it up nicely… and if you haven’t seen it already, the Rail Live film (created by Inside Out Time Lapse Productions) captures the passion and innovation in the industry at the moment. The Aquarius team enjoyed meeting many of you. Our stand illustrated the diverse uses of our products from standard personnel & equipment transportation to the latest in Mobile Asset Management data collection. We displayed our Rail Mule and Ultra Light Trailers, and various different R2R 4x4s in different configurations. One was set up to transport BV1000 welding equipment a real issue for many teams in the industry, and another R2R 4×4 was on track towing a R2R Plant Trailer to deliver up to 2.7 tonnes of small rubber tracked plant, fencing etc. to the rail work site, and also propelled a Load Tray Extension which transports an additional 490kg on track . We are very excited to be working with Cat Surveys and Top Con to provide an effective Mobile Asset Management solution. We displayed this at the show generating a great deal of interest. 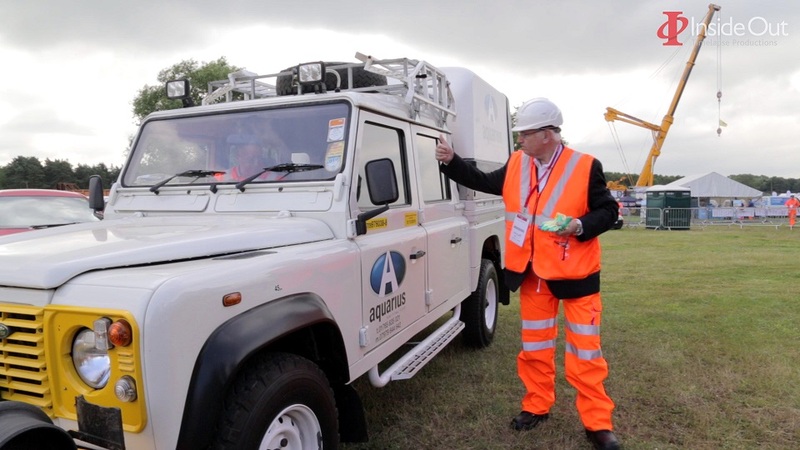 The equipment: a 360 degree camera, GPS and multiple laser scanners is mounted to a R2R 4×4, which allows the data to be collected quickly and safely on road and rail. The ‘on-site data’ once processed can be tagged, viewed, manipulated and controlled from any device (PC, Phone or Tablet) giving customers’ data at their fingertips. One of the highlights was providing one of our R2R 4×4 to transport VIPs captured in the photo by Inside Out Time Lapse Productions with Pete Waterman giving the thumbs up! A huge thank you to Paul Curtis (the Rail Engineer) for putting us in touch with Ebony Soltani at Network Rail and making this happen!